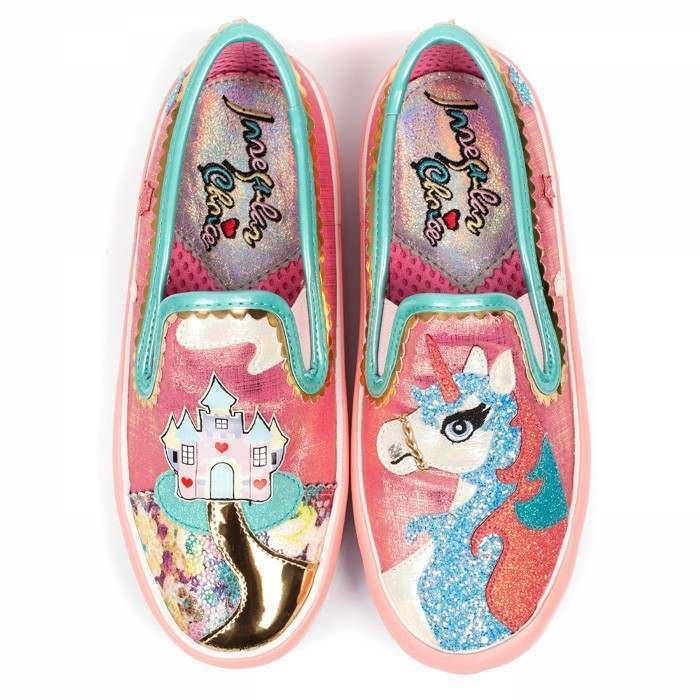 Jump on Misty’s back and adventure down to a magical castle with these stunning pink slip ons with yummy dripping icing details. 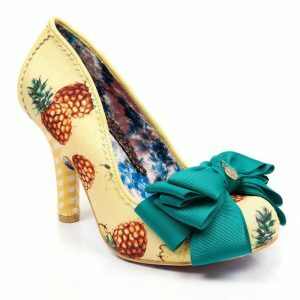 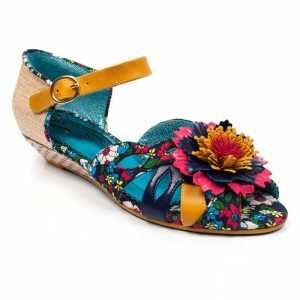 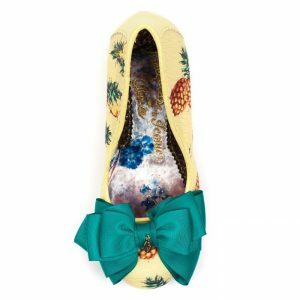 Another misty treat in the IC unicorn range, these magical misty’s castle pumps will have you jumping for joy this season. 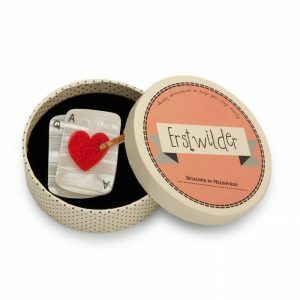 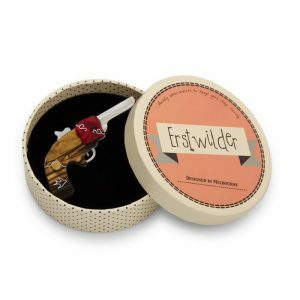 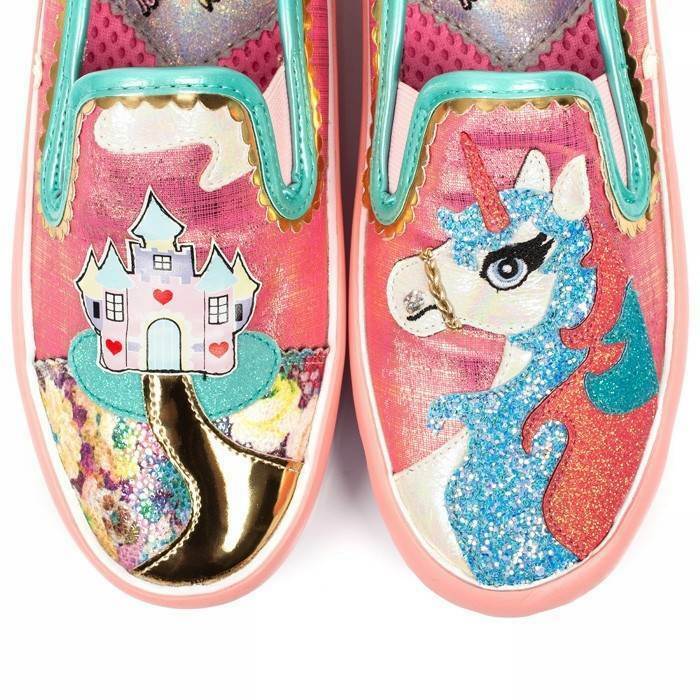 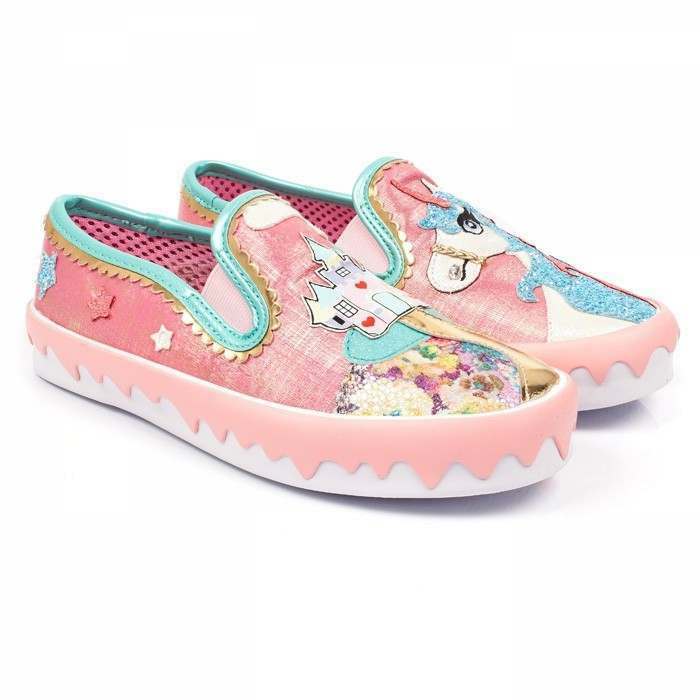 Comes with the classic misty the unicorn character and castle with glittering 3D stars, icing effect outsole, textured upper and a scalloped edging.